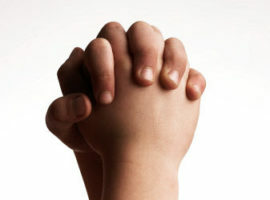 Lee Heider is Chairman of the Senate Health and Welfare Committee which was asked to consider a bill that aimed to protect children in Idaho from “faith-healing” medical neglect. Here’s why we believe Sen. Heider deserves a failing grade for his work on this urgent, life-and-death issue. 1) Failing to stand by principles — In several meetings we had with Sen. Heider, he expressed concern about the disproportionate number of fatalities among children in a particular religious group whose members don’t believe in medical care. Our discussions focused on religious exemptions in Idaho’s child welfare statutes that grant prosecutorial immunity to adults who deny children necessary medical care due to extreme beliefs about “faith healing.” In an Oct. 15 meeting with CFFP Executive Director Janet Heimlich and two government officials, Sen. Heider said he would “carry” a bill on this issue if the language met with his approval. He then asked the Attorney General’s office to suggest language based on certain specifications; the AG’s office emailed new language to Sen. Heider and Ms. Heimlich on Oct. 27. However, on the first day of the legislative session, Sen. Heider informed Ms. Heimlich that he would not be supporting any changes to the religious exemptions, because he feared this would “target” a particular religious group. However, after such a bill was filed in his committee the week of February 8, Sen. Heider did not schedule a hearing. When reporters asked him why, he claimed that Rep. John Gannon, the bill’s author, never asked him to set a hearing. Rep. Gannon disputes this assertion, saying he had been in contact with Sen. Heider since he filed the bill. “He could have scheduled a hearing any time he wanted to,” Rep. Gannon told the Twin Falls Times-News. 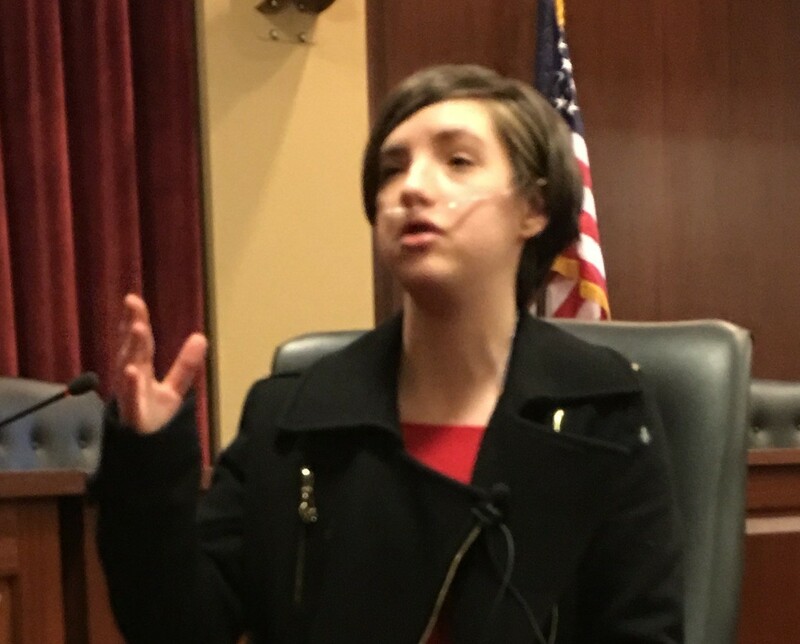 Mariah Walton, the woman for whom “Mariah’s Law” is named. 3) Failing to tell the truth — When talking to reporters last week, Sen. Heider stated that pressure to change the laws was only coming from people outside the state. “It is not Idahoans that are interested in bringing the legislation forward,” he said. While it’s true that the Austin-based CFFP has strongly urged Sen. Heider to consider changing the laws, he has also heard from many local advocates as well. In fact, most of our meetings with Sen. Heider were attended by at least one Idaho resident who was concerned about this issue. Ms. Heimlich had emailed him the names and contact information of an Idaho pathologist and a survivor of religious child medical neglect, both who supported changing the laws. She also emailed Sen. Heider this webpage link that lists public comments given by Idahoans on the issue. In a Jan. 11 phone call, Sen. Heider told Ms. Heimlich he would “reach out” to the same survivor she had previously suggested he contact, but the survivor says he did not do so. In addition, Sen. Heider attended a Feb. 11 town hall meeting in Boise, where a panel of five experts talked about the need to change the laws. Four of the five panelists live in Idaho and the event was attended by Idaho residents. Two survivors gave emotional pleas for the laws to be changed and a firefighter also expressed his concerns. 4) Failing to show compassion — Most importantly, we find that Sen. Heider has failed to show compassion for Idaho’s most vulnerable individuals—its children. He continues to vehemently oppose the effort to make Idaho’s laws more protective of children—an effort that has the support of the Idaho Chapter of the American Academy of Pediatrics and the Idaho Prosecuting Attorneys Association. 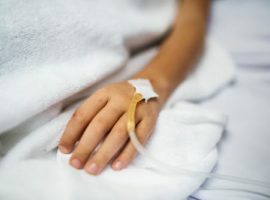 To date, we are not aware of him making one public statement expressing concern for the health and welfare of children who are suffering and dying from medically treatable conditions. Instead, Sen. Heider’s sympathies seem to only lie with the adults who are causing this suffering whom he has called “wonderful people.” He repeatedly criticizes Mariah’s Law as being too restrictive of religious freedom. “I’m a First Amendment guy,” he recently told the Twin Falls Times-News. Sen. Heider’s position would be understandable if he served on a religious panel. However, as Chairman of the Senate Health and Welfare Committee, he has a duty to make common-sense decisions about the limits of religious practices that jeopardize a child’s right to life-saving medical care. Experts say Idaho’s failure to pass Mariah’s Law will lead to more child deaths. Considering the seriousness of this matter, the Child-Friendly Faith Project finds the actions of Sen. Lee Heider to be nothing short of reckless. I concur with Jan Heimlich and Child Friendly Faith project on this matter, that Idaho lawmakers have failed to protect the most vulnerable in their state. It seems that yet again the needs, rights and safety of Idaho’s children are overlooked because of powerful adults who make the laws. The problem of not protecting children, in favor of protecting adults in power, seems to be age-old. It’s time we all spoke up as individuals, and as a society who truly value citizens who cannot speak for themselves. While powerful adults like Sen.Heider often give lip service to protecting children, it seems they have a difficult time following through in acting on child-safety concerns. I see two things playing out here: 1)Sen. Heider is fine with a few “unimportant” children dying under his watch because “Freedom of Religion”. 2) Children are often sacrificed for powerful people and systems, who for whatever reason need to retain their power, money, position and status at all costs. In ancient civilization, people sacrificed children as an exchange with the gods to appease a deity in exchange for good crops, wealth, luck etc… and it was considered acceptable as “Freedom of Religion”. As a civilized society today we abhor and reject the notion of child-sacrifice, yet we see the same barbaric dynamics and attitude being played out here. Powerful individuals these days may not sacrifice innocents to a stone deity, but in essence, they are willing to sacrifice children in order to keep their status. We find this dynamic in many powerful organizations such as the Catholic church, who is still being held accountable for the myriads of children “sacrificed” in order to maintain the position, status and wealth of the church. This is unconscionable in every way, yet it still happens. This is why we must all speak out, and talk with our lawmakers, our church leaders, and our educational systems to protect our children from this dynamic. As a therapist, I have known too many people who have been “sacrificed” as children to the greater systems of power. My heart and soul forever carry the pain of unheard voices who have had to endure unspeakable things. Now my heart is with the children of Idaho, who suffer so deeply and profoundly not only under their misguided, however well-intentioned parents, but also under a system that has turned away from them in order to protect the status quo. Lee Heider “1st amendment guy” my left nut…”pro-fetus/forced-brother”…but let the helpless already born fend for themselves. Special place in hell is all I can say. This is savage and an outrage. This is evil abuse, not religion. No god would ever be to let a child suffer so dangerously and so long. Idaho wake up..this is savage and cruel and absurd that religion is an excuse to severely and cruelly abuse. The own mom, now outcastes the daughter as garbage, for getting medical. That right there shows how evil and unreligious. I hope I can find the two sisters, and be their ally and friend. How brave you both are. Federal and United Nation rights should be precedence in this human right multiple violations and evil. I boycott all of Idaho, until this is stopped and major reparations made. Of, but how many children died and suffer?? ?..Called religion..this is CHILDREN OF THE CORN BARBARIC ABUSIVE SAVAGES..NO GOD LOVES YOU …but despises your abuse, murder and evil ways..god does see all..